Ensure that employees look and perform their best with this pair of Genuine Grip 5060 women's black tactical boots. 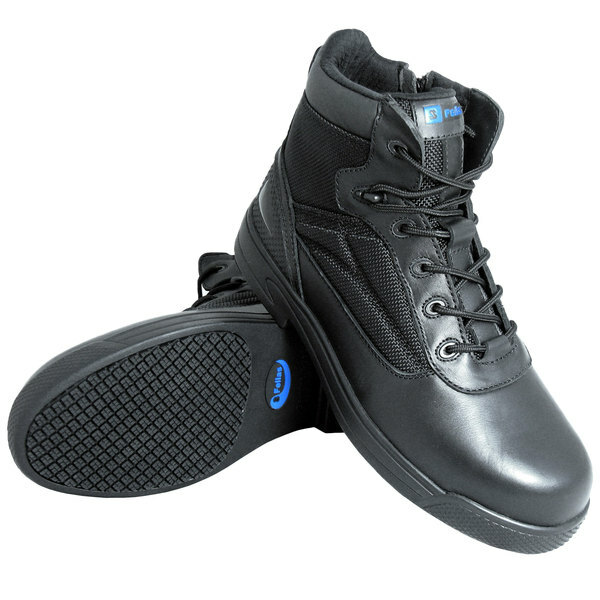 The perfect choice for security guards and law enforcement, these composite toe boots are designed to protect feet when there is a risk of falling objects or electrical hazards in the workplace. In addition, their non metal construction makes a great alternative to steel toe boots since they're lighter to help reduce fatigue, they won't interfere with metal detectors, and they're completely waterproof. 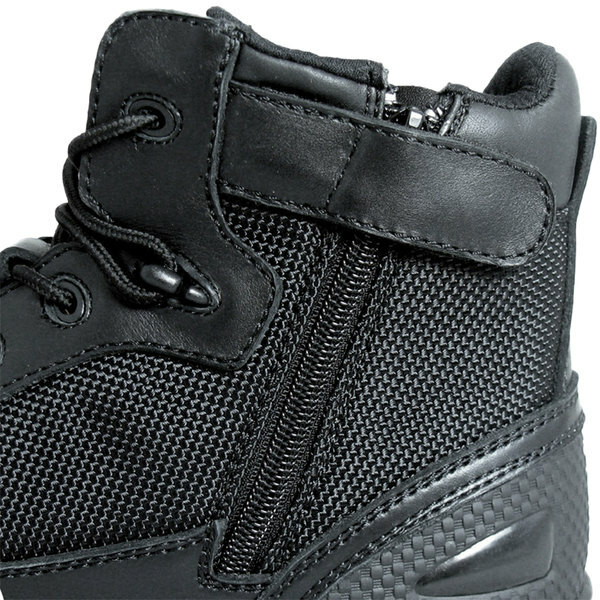 Each pair also comes with laces for a snug fit and a zipper lock to ensure that the side zipper stays up during wear. This stylish black upper is paired with a patent pending slip-resistant rubber outsole to protect against potential slips or falls. This outsole has a square patterned tread that is ideal for walking through slippery areas.